Next stop on Prince Harry and Meghan Markle's royal tour: Fiji, for a reception and dinner hosted by the nation's president. 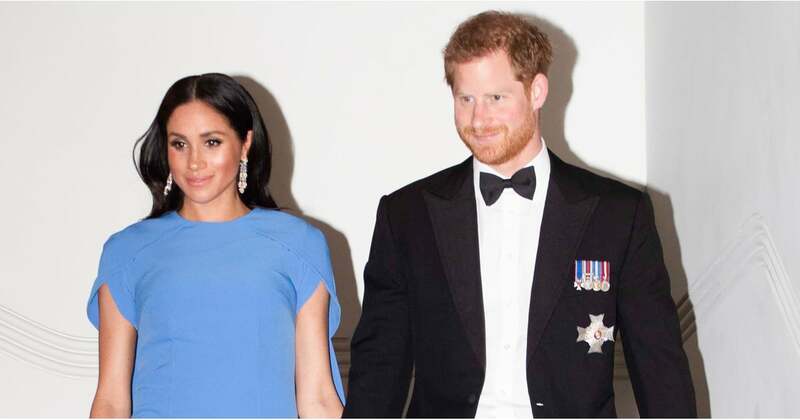 Meghan looked more regal than we thought possible, cradling her baby bump while wearing a bright blue gown by Safiyaa. Hand in hand with his expectant wife, Prince Harry looked equally dapper wearing a tux decorated with some of his military medals.